An essential part of your trampoline is the springs, as they are the only component giving traction and therefore allowing you to bounce on the jumping mat. If your trampoline has springs of 210 mm in length and time has stretched some of them, than thanks to our spare parts catalogue, you can replace a few of them at a low cost. - The 210 mm includes the rounded coils and the hooks at either end. These springs have been treated against corrosion and can therefore remain outside without rusting. The steel wire has a diameter of 3.3 mm and the coils a diameter of 26 mm. These characteristics give necessary power to your trampoline for all of your family to enjoy bouncing. - To attach the spring to the trampoline, two hooks are used: the first is more curved for efficient fixation on the jumping mat, whereas the second is more open, so it can be more easily attached to the steel framework of your trampoline. 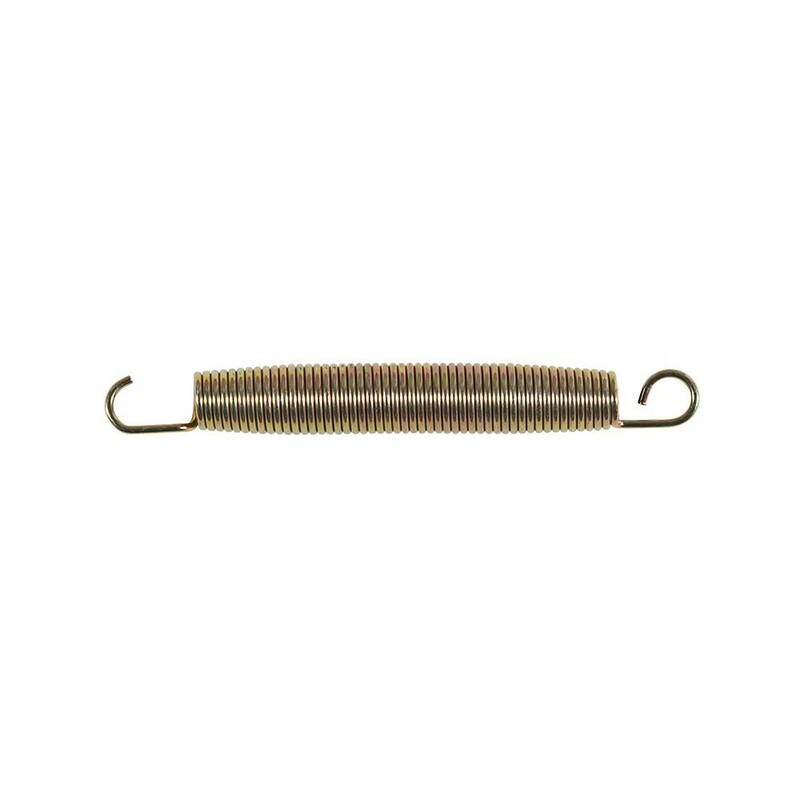 - These springs can be used on the Booster 300 and Apollo Sport 400 trampoline ranges. They can also be used on any trampolines using springs of 210 mm, hooks included. To remove your old springs we would recommend using a hooked clamp to stretch out the spring and remove the hook easily by placing pressure on the coils. ressorts qui sont super solides, comme ceux d'origine, très bien.